Chapter 7 gives our party of adventurers a brief rest, introduces a new ally, and we bid a temporary farewell to Gandalf. "I always meant to see you all safe (if possible) over the mountains," said the wizard, "and now by good management and good luck I have done it. 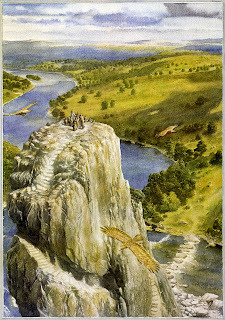 Indeed we are now a good deal further east than I ever meant to come with you, for after all this is not my adventure. I may look in on it again before it is all over but in the meanwhile I have some other pressing business to attend to." 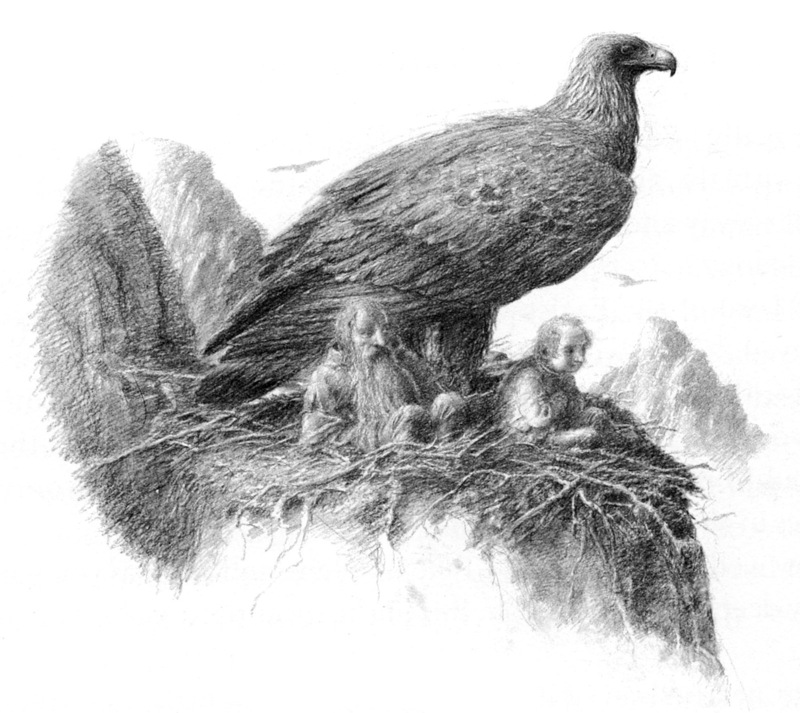 In this chapter we get snippets of the world at large, of adventures and dangers beyond what Bilbo will encounter on his way to the Lonely Mountain. We hear of other wizards and of the Necromancer, of other's feuds with the goblins, and we even get more song from the dwarfs. I've always wondered what exactly about Beorn's home makes it the Queer Lodgings. They've certainly stayed in stranger locations, including the eagle's aerie, and even the Last Homely House could be argued to be strange (wonderful, but still strange). In spite of his deliberate choice to live in the wilds and the unexpected appearance of 15 guests, Beorn proves a most able and incredibly generous host. In many ways Beorn's home is the wilderness analog to the Last Homely House. Like the elves and Elrond, Beorn knows more about things than one would expect, as well as living in a harmony with the lands around him. Against the backdrop of those they've met so far, the oddest thing about Beorn is not his skin-changing, but his lack of care for riches. Even the eagles look forward to their reward. Even Bilbo isn't immune, and while elves may look down on the dwarfs for their love of gold, they too love precious things. He eschews the company of the other races, and as a predator lives in peaceful harmony and symbiosis with the animals of the woods. Gold and jewels have no place in his life beyond clutter. In introducing the dwarfs to Beorn, Gandalf takes a page out of Scheherazade's book, spinning a story accented by interruption. Gandalf says that Beorn is "under no enchantment but his own," but I think it can be argued that there's a magic of sorts in a good story. Playing with words and trickery is really an area where Gandalf excels, something I focused on in an earlier chapter and something that continues here. 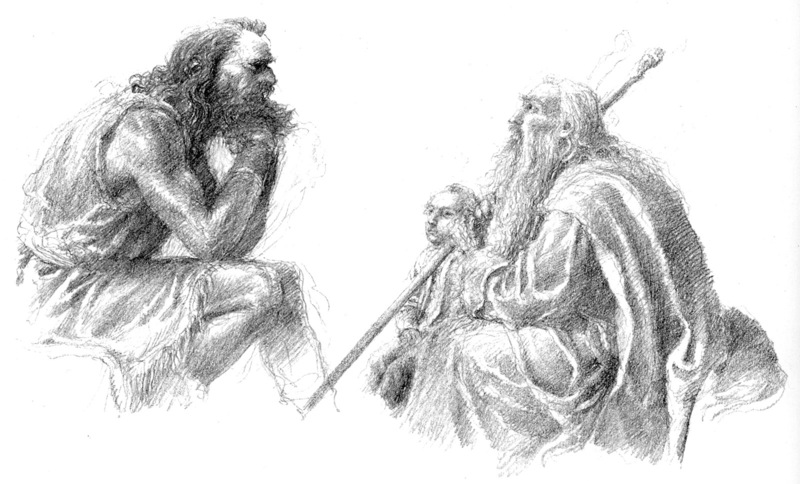 I even wonder at Gandalf telling Bilbo "you have got to look after all these dwarves for me." It could be a joke, but Gandalf isn't one to simply crack jokes for no reason, there's a purpose behind his words. Through the start of this adventure, the dwarfs have been pulling Bilbo through. But as Gandalf is fond of reminding us, hobbits are full of surprises, and since Gandalf never intended to continued for the entire journey I wonder if part of his inclusion of Bilbo from the start was as an outside observer and voice of reason. This was one of the sections I was most worried about it's translation to film. I really wanted to see Beorn, and wanted to see him done well. Before we can get to the meat of the chapter, there's a time-warp tossing us some backstory... with Thorin conveniently in Bree and the Prancing Pony, and Gandalf selling him the Brooklyn Bridge. I mean, convincing him to go retake the Lonely Mountain in order to retrieve the Arkenstone to unite the dwarven armies. Then back to present time with our party being hunted by the White Orc and them running full tilt into Beorn's home (literally)... chased by Beorn himself. I'm left feeling a little let down. I wanted Beorn to be more, yet I felt that the additions diminished him as a character. Instead of him being an individual with his own mysterious story and battles, his story almost makes him into an object of pity as well as tying him to Thorin's ongoing plight. Beorn's bear form was pretty awesome, but rather than him taking out some goblins/orcs they get called away by the Necromancer. One thing Jackson did do was to really build on the parallel between Elrond and Beorn. Personally, I feel they made Beorn too beaten down and sage-like. Something about Beorn's presentation made me think "druid" (of the D&D type). He reads in the book like a large powerful man that takes fierce enjoyment in life and in defending what he considers him. I did not get that from the movie. Strong, yes. But not quite wild or fierce enough, except when charging almost out of control as a bear. I feel that Bilbo detecting that the forest feels "sick" rather fitting. Of all of them, he is the one with the feeling for gardening and growing things by personal preference. 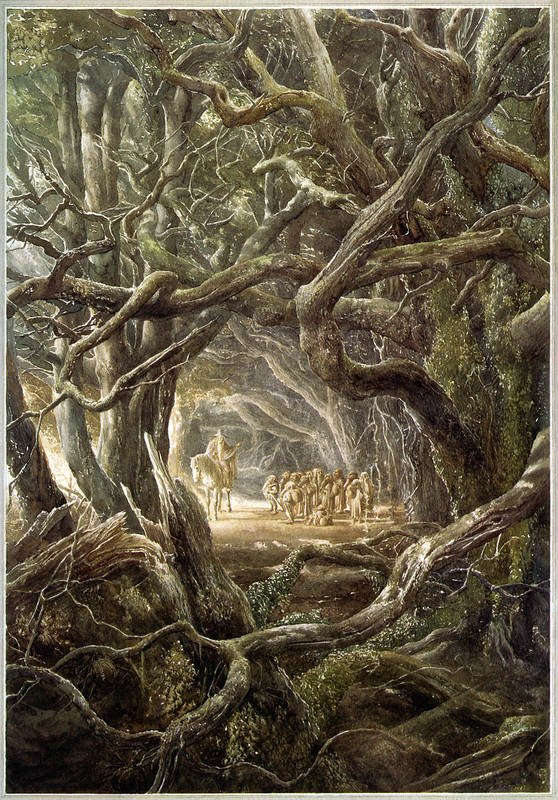 The build up to the Mirkwood's corruption and darkness was handled relatively well, and since the the Mirkwood was not long ago the Greenwood some indication was definitely warranted for the audience. And the ring here is certainly the One Ring of Lord of the Rings, not the largely dormant magic ring of The Hobbit. On the topic of Mirkwood, one thing that does leave me wondering is we hear that Radagast lives on the southern edge it. If that's the case, it really stretches plausibility that he should meet up with Gandalf to deliver his ill news on the other side of Rivendell.